Since this is not a medical website, we will not get into any medical discussion about the side effects of Radioactive Iodine thyroid treatment. 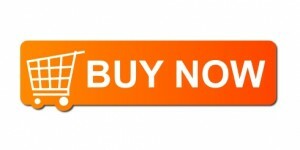 However, there is one side effect that occurs that is not medical – home contamination. The problem is that unless properly removed, children and other people can come into contact with it, which can lead to internal uptake and unwanted destruction of their healthy thyroid tissue. Long term effects to second hand exposure and internal uptake have not been adequately studied, but the national cancer institute recognizes that Exposure to I-131 can increase the risk of thyroid cancer. Twenty years ago, Bind-It™ was developed to remove radioactive iodine contamination from hospitals, laboratories and nuclear pharmacies. After many patient requests, the Bind-It™ Patient Care Packs have been developed for home use. Household cleaners such as bleach can lead to actual spread of radioactive iodine, rather than its removal. Anyone telling you to use strong household cleaners like bleach or cleansers with bleach are not only wrong, they are giving you dangerous advice. 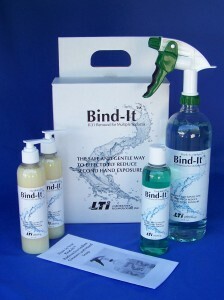 Be safe, be sure and be protective of others, use what the hospitals use – Bind-It™.